Most of the studies on this herb are using turmeric extracts that contain mostly curcumin itself, with dosages usually exceeding 1 gram per day. It would be very difficult to reach these levels just using turmeric in your foods. Therefore, if you want to experience the full effects, then you need to take a turmeric extract that contains significant amounts of curcumin. I personally prefer to swallow a few whole peppercorns along with my curcumin supplement, to get that piperine to enhance absorption. It helps the body fight foreign invaders and also has a role in repairing damaged tissues. Without inflammation, pathogens like bacteria and fungi could easily take over our bodies and kill us. Curcumin blocks NF-kB, a molecule that travels into the nuclei of cells and turns on various genes related to inflammation. NF-kB is believed to play a major role in many chronic diseases (8, 9). Without getting into the gory details (inflammation is extremely complicated), the key takeaway here is that curcumin is a highly bioactive substance that fights inflammation at the molecular level (10, 11, 12). Oxidative damage is believed to be one of the mechanisms behind ageing and many diseases. The main reason antioxidants are so beneficial, is that they protect our bodies from free radicals and oxidative damage. 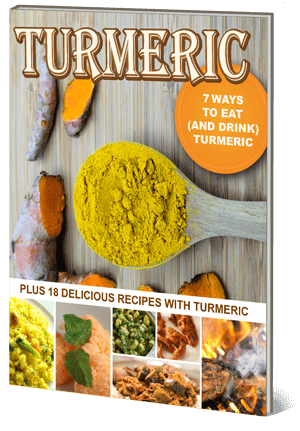 Turmeric happens to contain potent antioxidants. The most important antioxidant in it is curcumin itself. Curcumin can scavenge and neutralize free radicals on its own, due to its chemical structure (15, 16). In that way, curcumin delivers a one-two punch against oxidative damage. It blocks free radicals directly, then stimulates the body’s own antioxidant mechanisms. The neurons are capable of forming new connections (called synapses), but in certain areas of the brain, they can also multiply and increase in number. Many common brain disorders have been linked to decreased levels of BDNF. This includes depression and Alzheimer’s disease (21, 22). Interestingly, curcumin can increase blood and brain levels of BDNF (23, 24). It has been intensively studied for many decades and researchers have learned a lot about how it happens. It turns out that heart disease is incredibly complicated and there are various processes that contribute to it. Curcumin has been shown to be of use in reversing many steps in the pathological process of heart disease (28). Cancer is a terrible disease, characterized by uncontrolled growth of cells. There are many different forms of cancer, but they do have several commonalities, some of which appear to be affected by curcumin supplementation (33). However, there is some evidence that it may help prevent cancer from occurring in the first place, especially cancers of the digestive system (like colorectal cancer) – where the concentration of curcumin is highest. In one phase IIa clinical trial in 44 men with lesions in the colon that sometimes turn cancerous, 4 grams of curcumin per day for 30 days reduced the number of these lesions by 40% (38). Maybe one day, curcumin will be used along with conventional cancer treatment. It’s too early to say for sure, but it looks promising and this is being intensively studied as we speak. Whether curcumin can really slow down or even reverse the progression of Alzheimer’s disease needs to be studied properly (42). In a pilot study of patients with rheumatoid arthritis, curcumin was even more effective than diclofenac, an anti-inflammatory drug (43). Curcumin has shown some promise in treating depression, an incredibly common disorder. In a controlled trial, 60 patients were randomized into three groups (46). After 6 weeks, curcumin had lead to improvements that were similar to prozac. The group that took both prozac and curcumin fared best. Curcumin boosts BNDF levels, potentially reversing some of these changes (47). There is also some evidence that curcumin can boost levels of the brain neurotransmitters serotonin and dopamine (48, 49). For this reason, it has become very popular as an anti-aging supplement (50). But given that oxidation and inflammation are believed to play a role in ageing, curcumin may have effects that go way beyond just prevention of disease (51).